Resuscitating patients is an integral part of providing emergency medical attention, but the hidden danger behind performing this action isn't often spoken about. Mouth-to-mouth resuscitation in particular can transfer contaminates between care provider and patient. The Laerdal Pocket Mask with Oxygen Inlet and Soft Blue Pouch makes CPR safer by protecting the patient and provider. The Laerdal Pocket Mask provides a tighter seal against your patient's face for correct resuscitation. The mask also enables providers to breathe through the one-way valve. Below the one-way valve is a filter that protects providers from airborne pathogens, liquids and secretions. With the Oxygen Inlet included, the mask facilitates the delivery of supplemental oxygen for improved performance. 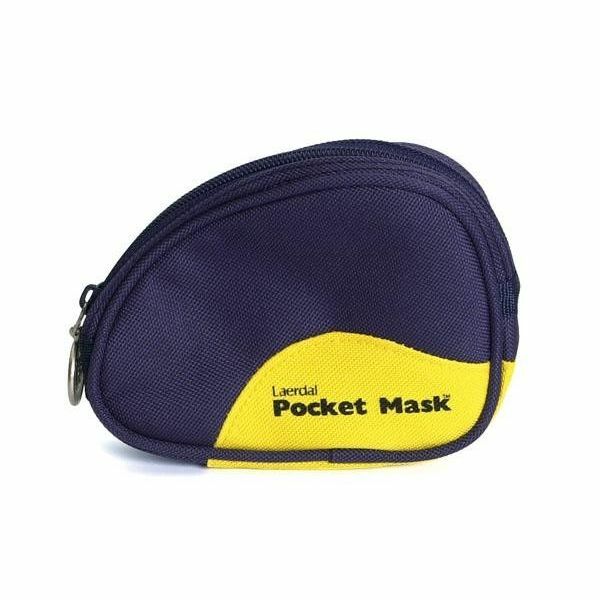 The Pocket Mask also comes with an elastic head strap so the seal is tight against the patient's face and the mask remains in place. The Laerdal Pocket Mask with Oxygen Inlet and Soft Blue Pouch will be subject to a delivery time of 3 - 4 working days after the point of order. For more information, contact our Customer Care Team at 020 7501 0593.